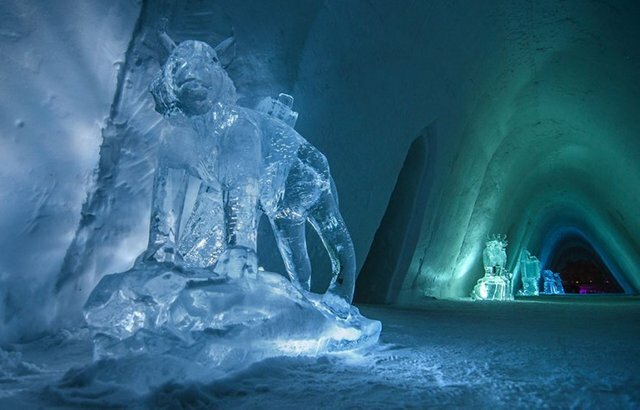 The constructionists used a unique technique to build the hotel: they used ice from the lake nearby, which then keeps growing everyday! 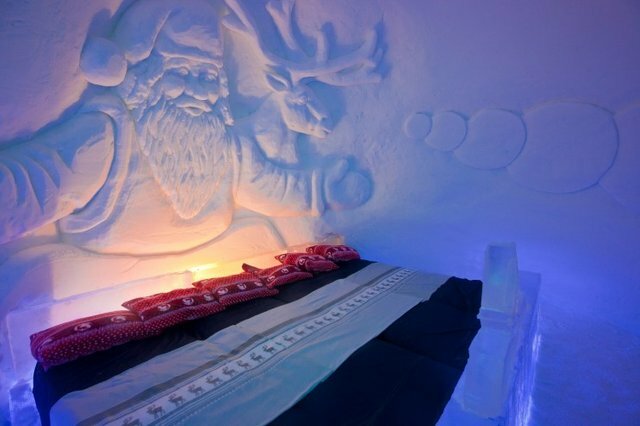 The hotel has an adorable reindeer, who meets and greets the guests as they enter the dwelling. 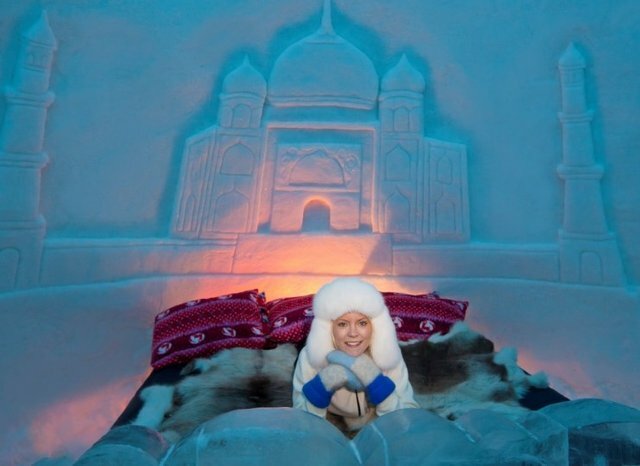 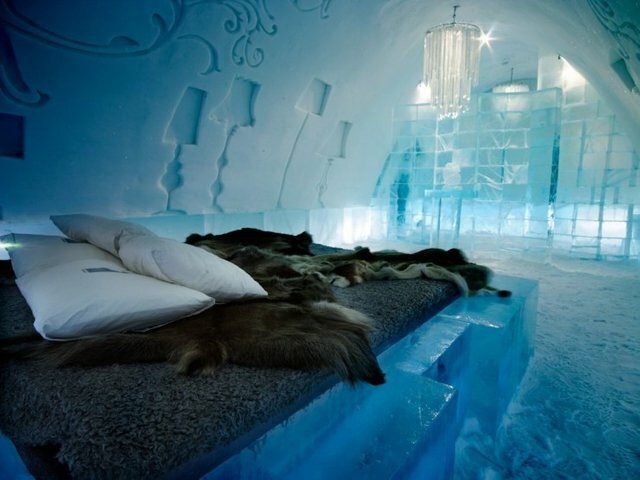 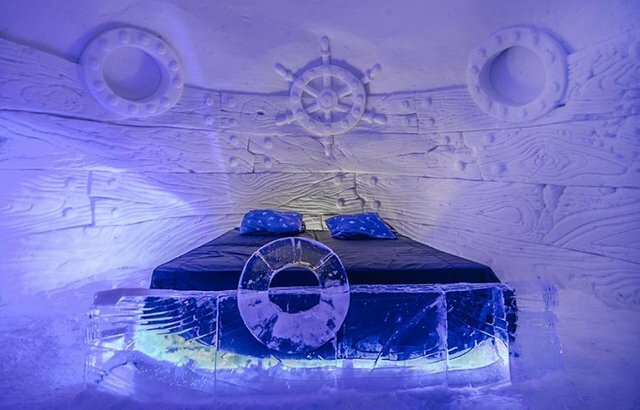 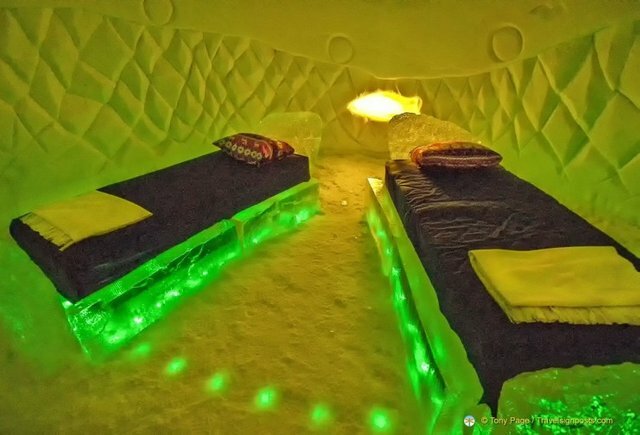 Each room is unique and arty, while icebar is really cool and hip.